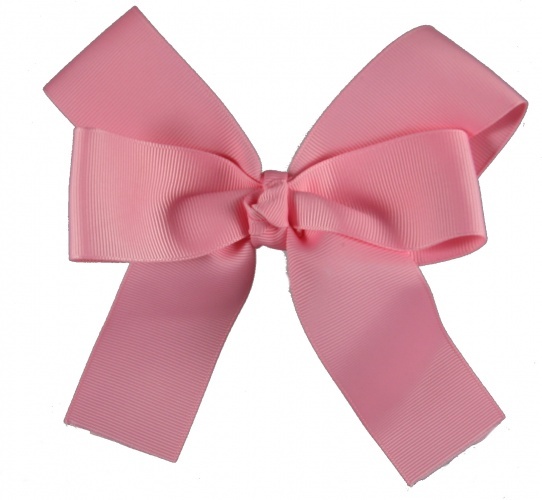 Pink Grosgrain Bow styled with two long tails hanging down in the front. This is the typical cheer bow style bow. It has 2 loop on top, 2 loops to the sides and 2 tails handing down. The tails are the perfect length to add an embroidered letter to. This style also looks great for the back ponytail because each of the tails go on both sides of the ponytail.